Due to the global orientation of the company, we have worldwide experience in the field of electrode cap materials and the matching milling tools. We currently have a portfolio of 2,865 different combinations of milling tools in our product range, and that number is steadily increasing. 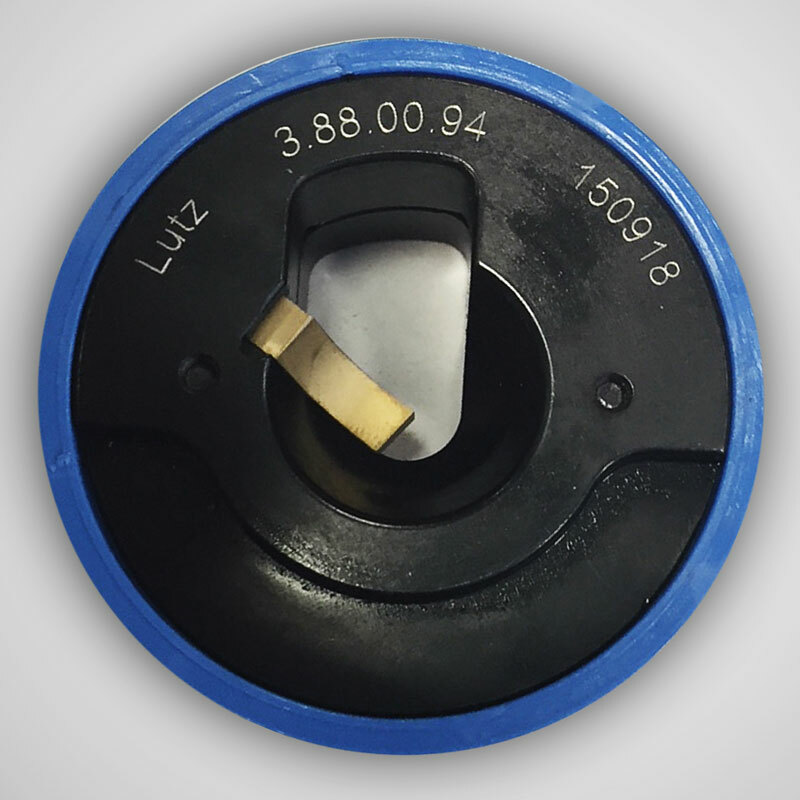 LUTZ Precision Cut-in systems are available for all popular cap pairs worldwide. Cut-in systems are characterized by their uncomplicated operational readiness, especially in simple applications. The high number of points on the electrode caps used can be removed within the shortest possible milling times. LUTZ Precision cutting system chip breakers are available worldwide for all common cap pairs in use. High precision results in a short time can be achieved with these milling tools. Even with high closing pressures, these systems enable clean chip removal and precision surfaces on the milled electrode caps. We also achieve high quality results in the area of visual spot welding. Specially manufactured two-cut-in systems for most common electrode cap geometries. Minimal chip removal enables a long service life for the electrode caps. Even complex electrode cap pairings such as DIN D16 caps are easy to mill. LUTZ Precision has its own product range for aluminum applications. Our 3.GG series, which has been in various stages of development and is coordinated with Audi, is used in various applications. Of course, current developments are always included, such as those for Audi Brussels.